We have worked together for over 15 years. Shared knowledge, experience and respect provides for great discussion, debate and decision making. We started Onward Capital in March 2015 with a few simple guidelines: Surround yourself with people you like and admire. Leverage complementary skills and experiences. Stick to our core industry focus. Make prudent investments. Have fun. Marcus founded Onward Capital in March of 2015. Prior to Onward Capital, Marcus was a Partner at Code Hennessy and Simmons. He spent 18 years there, reviewed hundreds of investment opportunities and executed dozens of transactions across a variety of industries. Prior to CHS, Marcus worked in the Corporate Finance Group of Heller Financial and he started his career at KPMG. Marcus currently serves on the Board of Directors of Connecticut Electric, LLC, Domaille Engineering, LLC, FSC Lighting and Thermon Group, Inc. (NYSE: THR). He previously served on several other boards including Dura-Line Holdings, Inc., Waddington North America, TricorBraun Holdings, Inc., American Reprographics Company (NASDAQ: ARC) and Beacon Roofing Supply, Inc (NASDAQ: BECN). Marcus earned a BA in Accounting from the University of Notre Dame and an MBA from the University of Chicago, Booth School of Business. He lives in Park Ridge, Illinois with his wife and their two children. Laura founded Onward Capital in March of 2015. Prior to Onward Capital, Laura spent over ten years at Code Hennessy and Simmons where she reviewed hundreds of investment opportunities and executed dozens of transactions across a variety of industries. 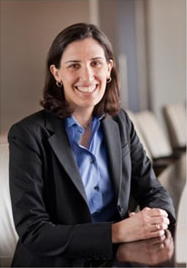 Early in her career, Laura worked in the Investment Banking Division of Lehman Brothers where she advised industrial companies and their boards on strategic alternatives. Laura has served on private company boards spanning in size from $15 MM to $600 MM of revenues. Laura currently serves on the Board of Directors of Connecticut Electric, LLC, Domaille Engineering, LLC, and FSC Lighting. Laura earned a BA in Economics from Cornell University and an MBA from Northwestern University’s Kellogg School of Management. She lives in the suburbs of Chicago with her husband and their three children. The investment efforts of Onward Capital are supplemented by the deep experience and insights of our Executive Advisor Network. The network consists of executives aligned with our investment focus who assist in sourcing, evaluating and overseeing our investments as Board members. 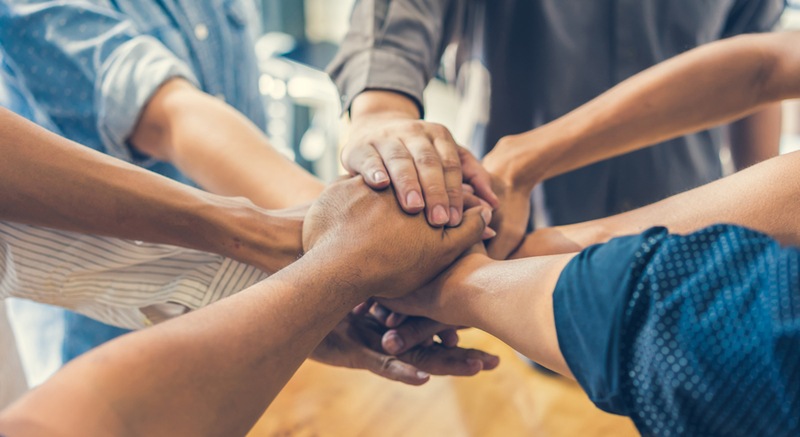 These operators span from former CEOs and CFOs of successful, private equity-backed businesses to former leaders of public industrial companies. The combination of our Executive Advisor Network and Investment Team positions Onward to leverage strategic insights and best practices from a wide array of experiences and businesses. Former EVP Global Sales of Thermon Group Holdings, Inc., a NYSE-listed company providing highly engineered thermal solutions to the energy, chemical processing and power generation industries. After retiring in 2016, George has assumed a role of special advisor to the CEO of Thermon, focused on strategic growth initiatives and M&A. Former Chairman and CEO of Draka Holdings NV, a leading international manufacturer of wire and cable, with 60 operating companies in 25 countries. Current board member of Domaille Engineering, LLC. Previous board member of Associated Cables, Draka USA and other subsidiaries, Dura-line Holdings, NKT, White Holdings, Singapore Cables Manufacturing, Comteq, Fileca, Eishen, OCI and Tamaqua Cables. Former CEO of Thermon Group Holdings, Inc. a NYSE-listed company providing highly engineered thermal solutions to the energy, chemical processing and power generation industries. 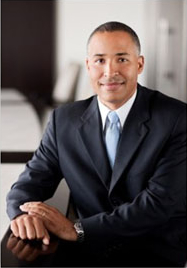 Rodney currently serves as an independent board member of TriStar Global Energy Solutions. He previously was a board member of Thermon Group Holdings, Inc.
Former President of Network Services, AT&T Mobility Division. Reporting to the CEO, Burns oversaw all phases of wireless network engineering, construction, operations and maintenance. Richard currently serves as a senior advisor to McKinsey & Company and as an independent board member of Georgia’s Own Credit Union and Hennessy Capital Acquisition Corporation III. Formally, he served as independent board member of Dura-line Holdings, Hennessy Capital Acquisition Corporation I, Hennessy Capital Acquisition Corporation II and Unison LLC. President, Fluent Business Group, a $ 3.5 billion global plastic conduit and pipe manufacturing subsidiary of Mexichem Inc. The Fluent group is a combination of 3 acquisitions: Dura-line, Amanco in Latin America and Wavin (a Shell Oil spinoff) in Europe. Paresh has also held executive positions at Fortune 500 companies including Emerson Electric, Ameritech (now AT&T) and Kellogg Brown & Root (a Halliburton company). He is currently a board member of Dura-line Holdings and Wavin (Netherlands). Former President & CEO, Houston Wire & Cable Co. (NASDAQ: HWCC) a leading distributor of wire and cable and related products. Previously, he was the former president of Pameco Corporation ("Pameco") (NYSE:PCN), a national HVAC distributor and also held positions at UTX and PepsiCo. Chuck is currently the Chairman of the Board of Thermon Holdings, Inc. He previously served on the boards of Houston Wire & Cable Co and of GSE Holdings (manufacturer of engineered geosynthetic containment solutions) where he also served as interim CEO.